Use the back button to navigate. Search for "er X" to move to chapter X.
OOYLT and YLT are public domain. 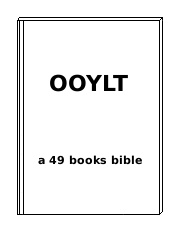 OOYLT was released January 2013.